Get the first screening by first birthday. If you didn’t know that babies need an oral screening by age one, you’re not alone. There are so many things to remember when caring for your baby; it’s easy to forget that their teeth need attention too. Ask your pediatrician to look around your baby’s mouth by his or her first birthday. He or she will refer you to a dentist if needed. You can do this at your next vaccination or well-baby visit. They will look for signs of early decay, which can look like white spots — usually along the gums. Brown or black spots may be cavities. You’ll get tips on healthy snacking. Your child may also get fluoride varnish to help prevent – or even heal – early decay. Treat baby teeth like they’re permanent. “They’re going to fall out anyway.” That’s what some parents say, and it gets kids into trouble. Some baby teeth can be around for 14 years. It is important to care for baby teeth just as you would adult teeth. Cavity-free kids are more likely to have a healthy mouth for life, so it’s never too soon to start taking care of tiny teeth. At nap and bedtimes, water only. If you give your baby a bottle or sippy cup at naptime or bedtime, use water only. Juice, formula, milk and breast milk can cause tooth decay, especially when baby falls asleep with liquid in her mouth. Get in the habit of feeding baby after naps, rather than using a feeding to prompt sleep. Take care of your own mouth. 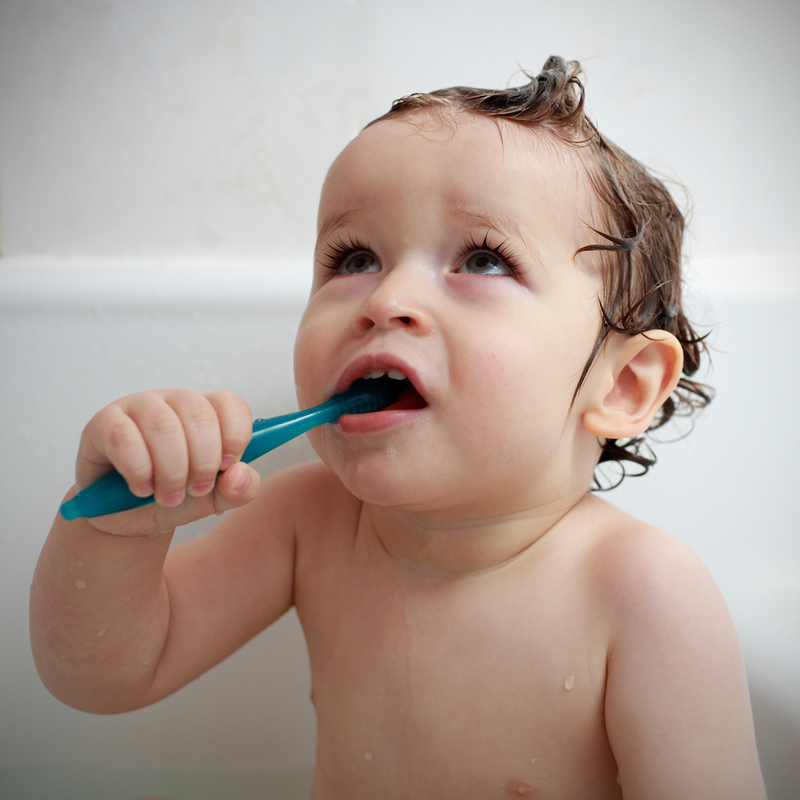 Did you know that germs that cause cavities can be passed to your baby through saliva? When we share food or utensils, or “clean” baby’s pacifier by putting it in our mouths, or even kiss, we can pass decay-causing germs to our babies. This can create big dental problems for small mouths, so make your own oral care a priority every day and get regular oral health checkups. For more everyday tips, look here. It is also especially important to get dental care while pregnant. Learn more about prenatal dental care. Get help finding and making a dentist appointment near you with DentistLink.